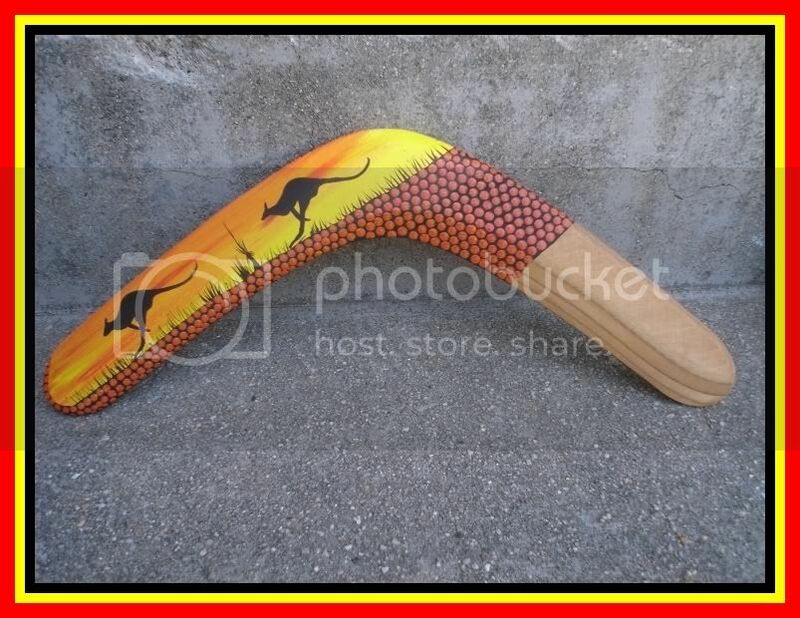 These hand painted boomerangs showcase the beautiful sunset of the natural Australian landscape. The artwork includes the red kangaroo, Koopoo, or the grey kangaroo, Bandhar. The dots represent the colour of vegetation grown in this area. They make great gifts and look gorgeous framed! Email us if you're looking for a particular animal or color. Boomerang was the one of the advance tool in the aboriginal art history. It is curved shape weapon mostly made of wood or bones. And aboriginal people used it during some terrible situation like during hunting or for their defense. So playing with boomerang will give you a historical experience.